First and foremost, everyone will be focusing on the groom's face, watching all of that happiness spreading over it throughout the day! If you're prone to breakouts, establishing a face-washing routine with a gentle cleanser before the wedding day can be a big help. Take a really good, long look at your face in the mirror and pick out anything that could use a little improvement. Eyebrows are often overlooked, and just about every adult could do with a good teeth whitening. You're not going for a complete makeover here, just cleaning up what is already gorgeous to your bride-to-be. Drinking lots of water does wonders for a person's skin, plus it's good for the body too. Getting 6-8 hours of sleep a night also makes a big difference in the way one looks and feels. These two things really need to be done the week prior to the wedding, and especially if the bachelor party or rehearsal dinner came with a bit of a hangover. Sunscreen is always a must, but you definitely do not want to have a sunburn on any part of your body on the wedding day. A nice, even tan looks great, but red and peeling skin is not very photogenic. Limit sun exposure to keep it under control. 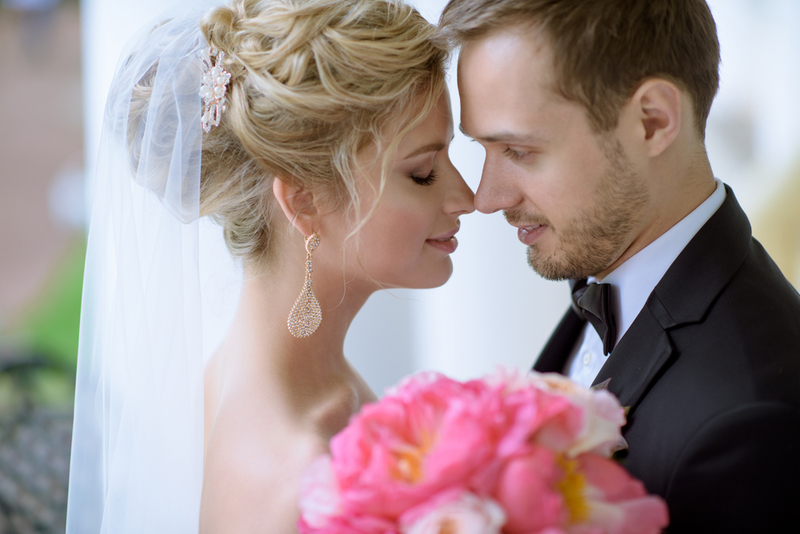 You should look like you on your wedding day, so we're not suggesting a brand new look. Just make sure that you schedule your haircut at the right time so that it isn't too long or too short on the big day. 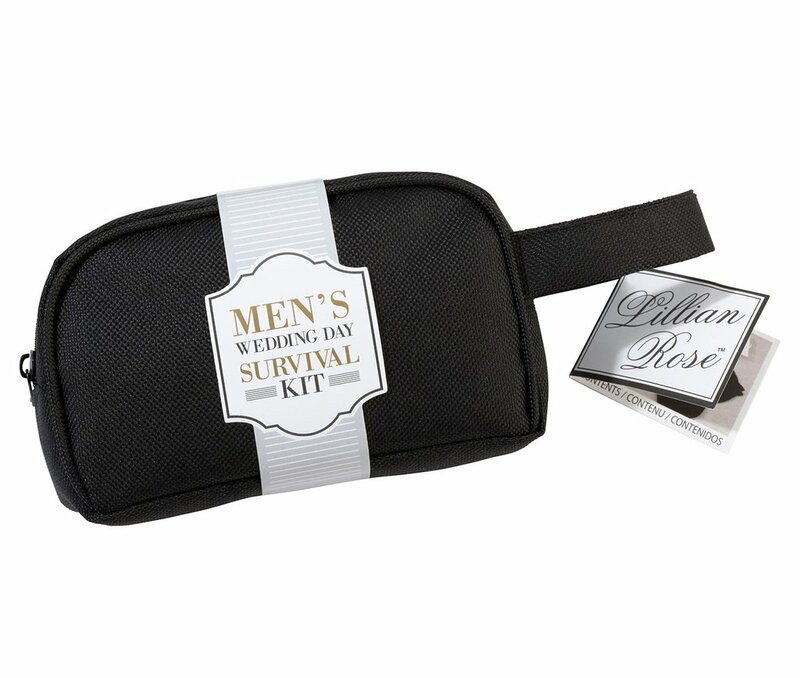 This involves some pre-planning for a gentleman. If you want to have a beard on the wedding day, proper upkeep is a must. 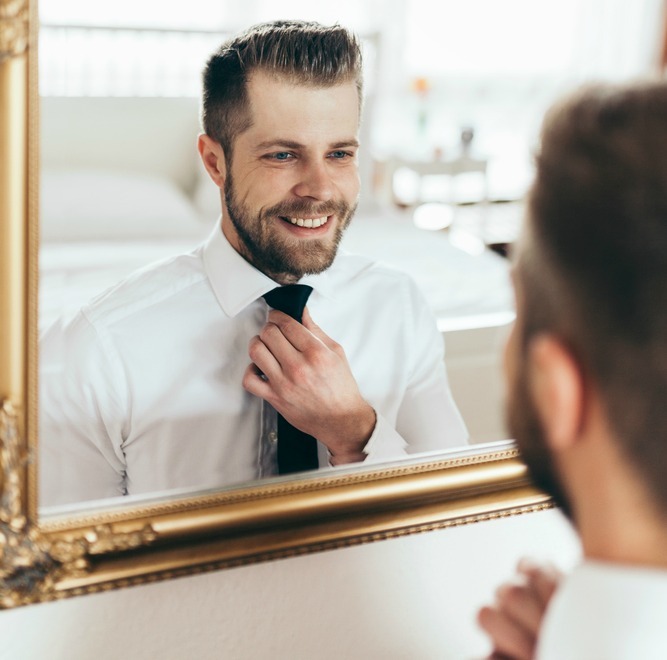 For the stubbly look, you'll need to do a little research during the weeks before the wedding to decide exactly how long it takes to reach your desired length. You may want to schedule a hot towel shave with a barber if you will be clean-shaven that day. You deserve a little pampering, and a pro will make sure you look great. This is a tough thing to convince a lot of men to do, but hey, "man" is in the name! You'd be surprised at what a difference it makes. Your wedding day is a perfect excuse to have this done, because you will have some close-up hand shots in the ring photos. Take your bride-to-be with you when you go and get manicures together. These grooming tips are mostly things you do on a regular basis, but with a bit of added attention to detail. Ladies, if you want to encourage your man to pay a little extra attention to his look before the wedding, surprise him with a fancy dopp kit (which is just a fancy name for a man's toiletry bag.) You can find some very nice ones that can even be personalized at WhereBridesGo.com. 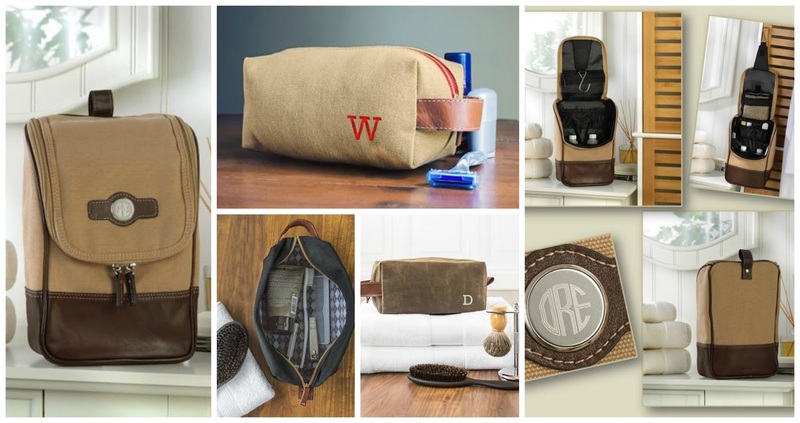 They make wonderful gifts for the groomsmen, too.